There are a lot of benefits to positive thinking. Having an optimistic outlook on life in general can improve your physical health, your mental health, make you happier, and make your relationships better. Sometimes it’s hard to get in that mindset, though. Take the following for example: You’re reading motivational quotes and stories until you finally feel like you get it. You feel like you’ve grasped the concept of positive thinking and know that this is what it takes to be happy. You set goals and intentions for your day, you chant mantras, try yoga, and start drinking green smoothies. You feel like it’s working – and then suddenly it’s not. The next day you’re back to feeling sluggish, lots of negative self-talk, and you’re dreading the start to your day. Not so optimistic. 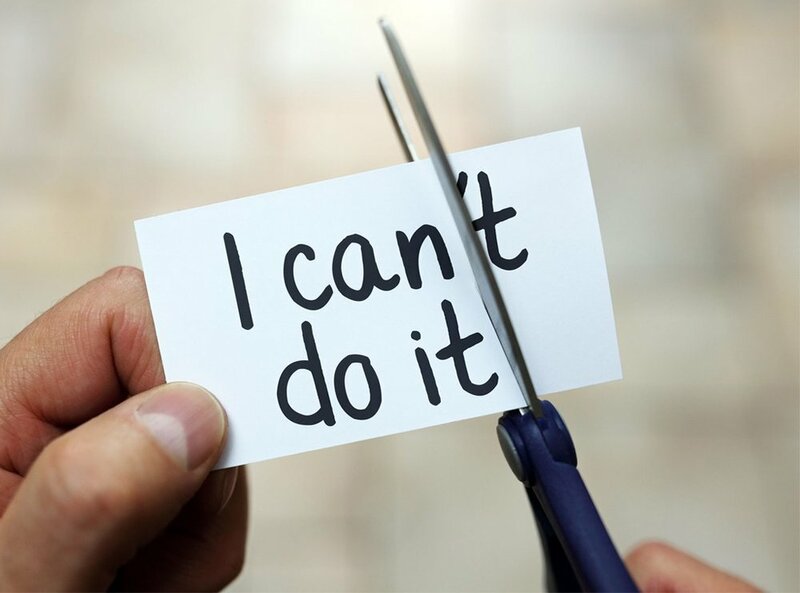 The first and most important step for becoming a positive thinker is identifying your negative thoughts and what causes you to think or feel that way. Identify what you feel negatively towards; and work in small ways to change your focus. For example: if your morning commute causes stress, try listening to podcasts or relaxing music. Be mindful throughout your day. Try taking a break from working every hour to breathe deeply for a few minutes. Get out and go for a walk and try to notice what’s around you. When you go out to eat at a restaurant, try to be mindful of how things taste and smell. You can even keep a mindfulness journal about how you’re feeling throughout the day and reflect on those and a possible cause. It’s important to laugh. Try to laugh once a day whether it’s from hanging out with people whose company you enjoy or finding a funny video on YouTube. This one is important. Have you ever heard of the term emotional vampire? Don’t be one – and don’t hang out with people who have that affect on you, either. Hang out with people who have a positive outlook on life and you’ll start to see it wear off on you! Having a circle of friends you can trust and who lift you up when you feel down is crucial. Ever wonder why healthy people just seem so darn happy all the time? One of the benefits of regular exercise and eating whole foods is the release of endorphins that make you happy, and eating whole foods gives you energy and will fuel you without dragging you down. Find something you enjoy doing and focus on that; not everyone is a runner or a yogi. Don’t force yourself to do something you don’t enjoy. Practicing positive self-talk can feel like a chore, especially if you’re someone who regularly talks negative to yourself. Try to treat yourself the way you would treat others and try to counter every negative self-thought with something positive. Having a routine can bring a sense of calm to a situation that might otherwise feel hectic and overwhelming. Something that helped me immensely was setting a morning routine. Having an extra hour to set goals for the day and get organized will help you have a more positive mindset going into the day. If you’re someone who struggles with having a calm, peaceful morning, I highly recommend to try it! I hope you can put these practices into work and that you start to see a more positive shift in your thoughts and relationships around you.